If you've ever parked yourself in front of the TV to watch Looney Tunes, The Ren & Stimpy Show, or countless other cartoons, the music of Raymond Scott should be instantly recognizable, even if you've never heard of the man himself. The musical mind behind countless Wile E. Coyote chase scenes (unwittingly) gave cartoons their signature sound, but his real passion was invention—especially when it came to the burgeoning world of electronic music. Scott was born Harry Warnow in Brooklyn, New York in 1908, and was said to be composing his own music by 1924 in the "audio laboratory" he built as a kid. After graduating from New York's Institute of Musical Art in 1931 (now known as Juilliard), he got a job as a pianist for the CBS Radio orchestra, which was conducted by his brother, Mark. 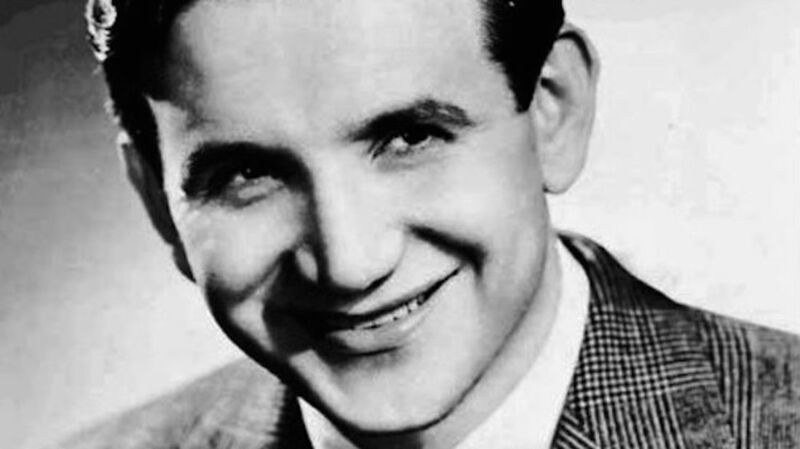 To avoid charges of nepotism, he changed his name to Raymond Scott (which he picked from a Manhattan phone book) and began his career in earnest, establishing a studio, Universal Recording Company, Inc., and a music publishing company, Circle Music, Inc. in 1935. In 1936, Scott formed the Raymond Scott Quintette (which actually had six members, including the father of film composer John Williams) and his unique musical voice began to appear. Scott's style was a wholly different take on the music of the time—the manic energy and violent rhythms perfectly suited his weariness with modern swing and jazz, and his pieces regularly featured bizarre titles such as "Square Dance for Eight Egyptian Mummies," "Dinner Music for a Pack of Hungry Cannibals," and "Harlem Hillbilly." Even though Scott never actually wrote music for these cartoons (and may never have even seen them), the pairing was a natural one. Warner's music director Carl Stalling thought so, too, because he used Scott's tunes in about 120 Looney Tunes shorts over the next 20 years, with the most popular piece being Scott's "Powerhouse." The deal with Warner Bros. (along with numerous commercial jingles) gave Scott the flexibility to work toward his ultimate goal: invention. In the years after the Warner Bros. purchase, he renewed his focus in the nascent field of electronic music, receiving patents on a number of different instruments, including a sound-effects machine named the Karloff, an early electronic keyboard known as the Clavivox, and his now-legendary attempt at artificial intelligence, the Electronium. Despite his wild sound, Scott was known for his expectation of perfection from his musicians during practice and a disdain for improvisation. This machine-like attitude toward his musicians helped him make strides in the electronic revolution, as he built an armory of instruments that were less about emotion and more about precision. "Perhaps within the next hundred years, science will perfect a process of thought transference from composer to listener. The composer will sit alone on the concert stage and merely 'think' his idealized conception of his music. Instead of recordings of actual music sound, recordings will carry the brainwaves of the composer directly to the mind of the listener." However, as Scott's inventions and experiments became more and more idiosyncratic, his music began to move away from profitability. No longer writing music for commercials or mainstream projects, his later work very rarely saw the light of day, as he spent most of his time tinkering away on the Electronium and other projects—living as a recluse, according to some accounts. Scott reportedly sunk close to a million dollars into the development of the Electronium, but despite the investment—and interest from Motown, where he worked as Director of Electronic Music Research and Development in the '70s—it never became the commercial wonder he imagined, nor was it ever actually completed. "He had so much imagination, and so much intuition—this funny intuition that some people have—that he could sort of fish around and get something to work, and do exactly what he wanted it to do. Obviously not everybody could do this. It took a huge amount of money, and a huge amount of imagination. And an impressive amount of craziness too!" Scott died in 1994, but since then his music has seen something of a rediscovery, at least in certain corners of the industry. To this day, you can still hear "Powerhouse" and other pieces in your favorite cartoons, and Scott's legacy as a trailblazing figure of electronic music is taking shape as a new generation has come along to add a modern flair to his work. Though people might not have been able to wrap their minds around his inventions and eccentricities at the time, his vision of the future of electronic music no longer sounds so far-fetched.